More and more chemicals can be measured in people’s blood, urine, saliva and even breast milk. This is called biomonitoring, and it offers an opportunity to better understand peoples’ exposures to chemicals and mixtures of chemicals. A number of striking studies have shown that the man-made chemicals in our environment and in consumer products—including cosmetics—are making their way into our bodies. Many of the chemicals found in cosmetics are absorbed by the skin into the body, and can be detected in blood or urine. The length of time chemicals remain in the body varies from chemical to chemical and ranges from hours to decades. For chemicals that are excreted quickly, the fact that we can so consistently measure them indicates continual exposures that may have long-term effects on health. Body burden refers to the levels of man-made chemicals in an individual’s body, generally measured through blood or urine. Large-scale biomonitoring programs that assess the levels of chemicals in a population or subset of a population would greatly support the ability of researchers to explore the links between exposures and disease. A gap in determining the long-term effects of chemical exposures upon disease has long been a lack of knowledge about chemical exposures and the intake of environmental toxins into the body. Ongoing biomonitoring programs would fill this vital data gap. The largest U.S. body burden study to date is the U.S. Centers for Disease Control’s National Exposure Report, first released in 2001. The 2001 reported on exposures to 21 chemicals, and the program currently measures well over 200 chemicals. The National Biomonitoring Program assesses these exposures in over 2,500 randomly selected people of varying ages, ethnicities and geographical locations, every other year. Data from this study revealed the common sunscreen ingredient, benzophenone-3 (BP-3) in 96.8 percent of individuals, and triclosan, an antibacterial agent often used in antibacterial soaps, in 74.6 percent of individuals. Data from the study also found residues of four different phthalates in more than 75 percent of subjects. Phthalates are found in numerous cosmetics, often as a constituent ingredient of fragrances. The study has found notable disparities in exposures to some phthalates. For instance, diethyl phthalate, an ingredient of fragrance (and therefore rarely found on labels) has consistently been found at levels 2-3 times higher among non-Hispanic blacks than non-Hispanic whites. Levels in Mexican Americans fall somewhere in between the two. This pattern has persisted, even though DEP levels have dropped significantly between the 2001-2002 and 2009-2010 assessment periods. A 2008 study of teen girls by the Environmental Working Group revealed 16 hormone-altering cosmetics chemicals in their young test subjects. This and other studies illustrate that chemicals we use in an array of consumer products make their way into our bodies.,, This knowledge also furthers our understanding of the links between the chemicals we use, the absorption of these chemicals into our bodies, and the known and probable health effects of these chemicals. Calafat AM, Wong LY, Ye X, Reidy JA, Needham LL. Concentrations of the Sunscreen Agent, Benzophenone-3, in Residents of the United States: National Health and Nutrition Examination Survey 2003-2004. Environ Health Perspect 116:893–897 (2008). Calafat AM, Ye X, Wong LY, Reidy JA, Needham LL. Urinary Concentrations of Triclosan in the U.S. Population: 2003–2004. Environmental Health Perspectives, 116:303–307 (2008). Silva MJ, Barr DB, Reidy JA, Malek NA, Hodge CC, Caudill SP, Brock JW, Needham LL, Calafat AM. “Urinary Levels of Seven Phthalate Metabolites in the U.S. Population from the National Health and Nutrition Examination Survey (NHANES) 1999-2000,” Environmental Health Perspectives, 112(3): 331-338 (2004). Centers for Disease Control and Prevention (CDC) (2014). Fourth National Report on Human Exposure to Environmental Chemicals, Updated Chemicals, August 2014. http://www.cdc.gov/exposurereport/pdf/fourthreport_updatedtables_aug2014.pdf. Accessed January 14, 2015. Sutton, R (2008). 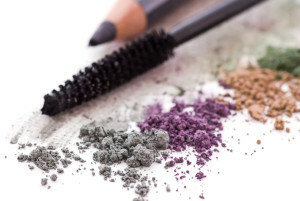 Teen Girls’ Body Burden of Hormone-Altering Cosmetics Chemicals. Available online athttp://www.ewg.org/reports/teens. Accessed October 10, 2008. Commonweal and Breast Cancer Fund (2005). Taking It All In: Documenting Chemical Pollution in Californians through Biomonitoring. Available online at http://www.commonweal.org/programs/download/TIAI_1205.pdf. Accessed August 19, 2008. Environmental Working Group (2006). Across Generations: Industrial Chemicals in Mothers and Daughters: The pollution we share and inherit. Available online at http://www.ewg.org/reports/generations/. Accessed August 19, 2008. Environmental Working Group (2005). Body Burden: The Pollution in Newborns. Available online at: http://www.ewg.org/node/17686. Accessed August 19, 2008. There are steps you can take to reduce toxic exposures in your home and protect the health of your family.